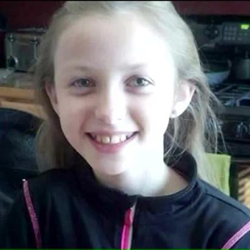 The Derrin Doty Group, a Washington-based insurance firm with offices serving Bremerton, Port Orchard, and the greater Seattle area, is initiating a charity drive to support the family of a young girl who died due to complications from the flu. Piper Lowery was 12 years old when she was diagnosed with what seemed to be a normal case of the flu on January 12th of this year. Piper’s mother, Pegy, reports that the fever suddenly hit her daughter “like a freight train,” and before the family had a chance to respond Piper had passed away. To publicize the charity drive, Doty and his team are seeking support from nearby families by sending out emails and creating an online social media memorial for Piper Lowery. The Doty team will also be featuring Piper and her family in the upcoming edition of “Our Hometown,” an online publication produced monthly by Derrin Doty Group: http://www.derrindotygroup.com/Our-Hometown-Magazine_41. In addition to assisting the Lowery family during their time of need, Derrin Doty and his team are committed to assisting even more local causes and charities as part of an ongoing community involvement campaign. The firm will assist another new Seattle-area charity every 60 days in the months to come. Readers who want to join Doty and his team during the Piper Lowery memorial charity effort are encouraged to visit the Derrin Doty website and make a donation to the Lowery family here: http://www.derrindotygroup.com/Helping-Local-Family-Mourn-Loss-Of-Daughter_19_community_cause. Readers that want to know more about other Seattle-area charities supported by the Derrin Doty Group are invited to view the firm’s Community Causes list here: http://www.derrindotygroup.com/community-cause. As a Personal Finance Representative in the Bremerton area, agency owner, Derrin Doty, knows many local families. His knowledge and understanding of the people in the Seattle area helps provide customers with an outstanding level of service. Doty and his team look forward to helping clients protect the things that are important - family, home, car and more. They can also help clients prepare a strategy to achieve their financial goals. To contact a helpful expert at the Derrin Doty Group, visit http://www.derrindotygroup.com/ or call (360) 373-6895.